Why is 100% so important? 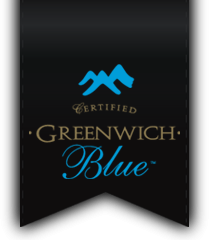 The most frequently asked question is why must 100% Jamaica Blue Mountain® coffee be so expensive. It is maybe 4 or 5 times more expensive than good Central American coffee and, it can’t be accounted for entirely by quality if quality were in a linear relationship with cost. It is exquisite!, and the type of arabica coffee plant we grow is very unique! We grow the “ORIGINAL” Arabica Typica coffee berries brought from Ethiopia hundreds of years ago. It is very expensive to grow but we grow it for its “Exceptional” taste and cup quality. It is for the VERY DISCRIMINATING, and for those who “really” VALUE the QUALITY of a cup. It is very expensive to produce. There is no mechanization in the Jamaican Blue Mountains. These slopes that we farm are 75 degrees. Very difficult for very small machines, so we must use mostly manual labour. We have a 180 inches of rainfall a year. The nutrient status of this soil is leached out every year by this tremendous rainfall, and very shaley porous soil. So, in order to keep the plants nourished, it has to be replenished every year. There is no reservoir of nutrients as found in other countries. So, everything about “our production” IS EXPENSIVE. And so the only compensation for of all of this, is that IT TASTES SOOOOO GOOD! If it wasn’t this good, it wouldn’t happen.